Looking to rekindle togetherness with the kiddos over Valentine&apos;s weekend? Estes Park has a full itinerary and plenty of snow to frolic in as you spend quality time as a family! Leave work early on Friday and get up the mountain in time for a scrumptious dinner before settling in to a cozy cabin or condo where you can tuck the kids in before uncorking that special bottle of wine. 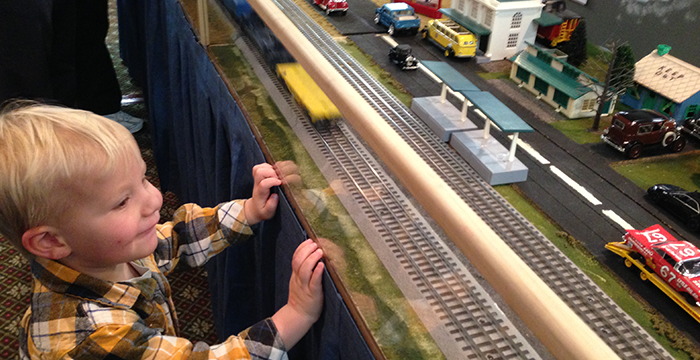 On Saturday, spend the day marveling at the amazing model trains at the Rails in the Rockies train show in the Estes Park Conference Center. Then, head downtown in the afternoon for some ice skating, shopping and signature sweets before sitting down for pizza or burgers. Sunday morning is perfect for a hearty brunch to fill up before a day of snowshoeing and sledding in Rocky Mountain National Park; entrance to the park is free all weekend and gear rentals are available in the village. Wanting some extra together time? Take Monday off work for a leisurely trip back home, with stops for last-minute snacks and gifts to remember the trip by. Your family will thank you, and so will your budget - go to VisitEstesPark.com/Valentine to find weekend specials and to book your trip!